I am a little worried. Now, I tend to worry about things so it isn’t anything unusual, but when it concerns people’s safety and the way historical fencing community (and the activity itself) appears, I must voice my opinion and share my concerns. During the last five years or so I believe the greatest development (or change) that has taken place in historical fencing community has been the emerging of a strong, competitive side, that has brought with it a lot of good but a bunch of side effects as well. The good things include developments in weapons and protective equipment and the appeal of European (historical) martial arts to a wider audience. Some exceptionally talented individuals have been able to display their skill and share it to others, without a doubt making these arts more practical and efficient. Discussion on rule sets and seeing how they come to life has helped in reconstructing and understanding how people may have practiced and competed hundreds of years ago (which we know they did!). The side effects I have discussed before, and in fact the major point of the likelihood of creating something completely modern that might become the public-facing image of this art is well acknowledged. But there seem to be side effects to these side effects as well. Some of the groups and people who were practicing and studying these arts long before the “sport” community emerged, are now taking interesting measures to support their credibility and to prove their place. This is understandable. 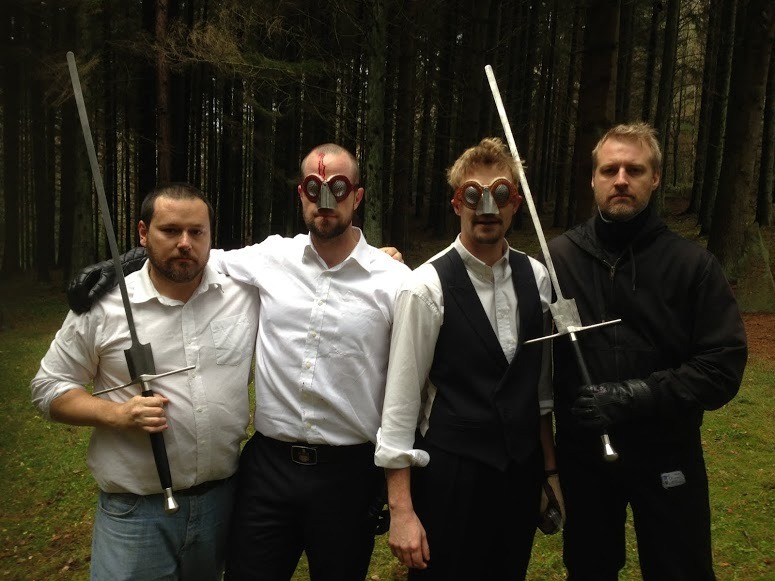 I work daily with a group of martial artists of whom some are really interested in doing swordsmanship as a sport, some in simply learning more about how people used swords 500 years ago and others in the aesthetical side of swordsmanship. And no matter how difficult it is at times, we need to get along and further polish each aspect. Tournament fighting is dangerous and that is easy to understand. But competition organizers try to make it as safe as possible. A blunt sword is sub-optimal as an impact weapon, as the weight rests at the wrong end. More delicate body regions are off-target. Most rules limit grappling (which makes perfect sense: unless they did, grappling would be too effective compared to the blunt sword) and so on. I have seen some tournaments take swordsmanship a step or two too far towards “sword-MMA”, and I really don’t think that is good. There already is a lot of high-level grappling and unarmed striking competition existing, so it would serve us better to keep the focus in using the sword. Luckily I think most people agree on this: while wrestling and other close quarters actions are part of swordsmanship, they should not be the majority in competitive swordsmanship. But what is going on at the other end of the spectrum? Those groups that are not so preoccupied by competition? Where success in a competition is not considered testimony to real skill in sword combat? These groups introduce other ways of practice, something that can’t be practiced in a competitive setting. This includes training in minimal gear. Historically, we have two forms of sword combat to model: armored fighting in one end and unarmored in the other. Both of these have their own techniques that are as lethal and effective as possible within their context. Today, we find ourselves somewhere between these two, with protective equipment sometimes resembling armor but usually for fencing as if in mere shirts or fencing doublets. In an effort to get closer to the real experience we can use less and less protective equipment giving ourself more freedom to move and more of the same feeling as we would have when fencing “for real”. When taken to its extreme, it means leaving aside inventions such as the fencing mask. And now here is where I get worried. Whereas in the extreme case of sword-MMA, at least the most vulnerable areas to sword damage remain covered. Whereas in the practice of fantasy-type real fencing without masks we expose ourselves to unnecessary dangers without much gain. We really should be grateful for inventions such as the fencing mask. Even now, over fifteen years into modern historical swordsmanship practice the fencing mask remains the top choice as head protection. Ditching the gear to get a false sense of value to one’s practice is dangerous and irresponsible. Even if, within a group and between two experienced fencers it would be the norm and a useful way of practice, it should not be the standard method in today’s swordsmanship. It should not be advertised as such and especially it should not be somehow held at any higher esteem than other forms of practice, such as “sparring” with masks and harder hits. New people starting out need to get masks early on. They should know that they need one even before they actually begin. I know many groups practice without masks for various reasons (of which the lack of money is the most absurd, if we go beyond very basic and structured beginner’s training) but it always makes me cringe a little. Bones heal, bruises fade, cuts heal up but eyes do not. Neither do teeth, even though they can be replaced (which is extremely expensive and the prosthetics are never as good as your own teeth). Is it really worth the risk?
! 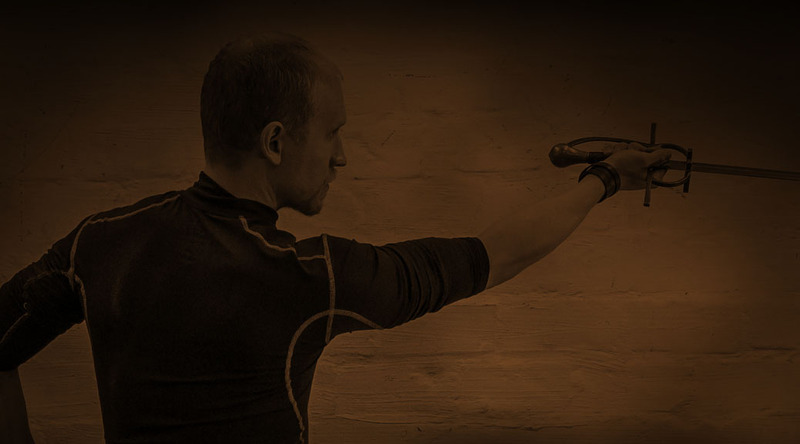 [Training without a mask: the thrust is aimed at the chest for safety. Photo by Simone Mattielli. ](http://i1.wp.com/res.cloudinary.com/marozzo/image/upload/h_720,w_1080/v1468450171/nomask_oiovdg.jpg?resize=474%2C316)Training without a mask: the thrust is aimed at the chest for safety. Photo by Simone Mattielli. In my classes we sometimes practice without masks, especially when doing set techniques with senior students. This makes sense, as the level of communication when you can see the face is greater, the measure is not altered by the mask and it does emphasize control. It is simply more convenient, and most of all it is fun. Less safe? Yes, but in this kind of practice the amount of surprise and the amount of someone actually trying to hit someone is less. The idea is more in increasing *understanding* of something than to actually apply the lessons learned. I also often demonstrate technique without a mask, to better communicate with the students. But this is only when I have a very good idea of what is going to happen next. When we start to approach free fencing and drills where you might suddenly get stabbed in the face, you will need the mask. Pure and simple. If you don’t have it, you either are not practicing to deal with a surprise attack or attacks really meant to hit you. You are introducing artefacts. The worst thing about these artefacts is that they don’t really help you in the kind of fencing context you (and your students) will be facing in today’s events and competitions. So, my question really is: why would anyone want to prefer this? For everything’s sake, at least wear eye protection when doing free assaults. No matter how “controlled” or “precise” you and your partners are, please don’t risk losing your eyes. It isn’t worth it. Losing an eye will feel really bad, and so will causing a lost eye. It is just stupid. And irresponsible. During my a bit over ten years in martial arts I’ve received one rubber knife, a few sticks, one leather dussack and a number of fingers in my eye. Not to mention a bunch of close calls. I remember each one. I dread on each. So when I engage in any kind of training I gauge the level of risk, especially carefully when it comes to eyes and Itry to stay on the safe side. Don’t risk suffering the obvious injury. This said, with someone I trust and have trained together many times I am OK even for free fencing without masks, but only when we have an understanding of what exactly we are practicing. I love playing with someone skilled even with sharp weapons and no mask, as it can be a beautiful experience. But it is just that, it is not teaching me how to parry a fierce strike aiming to split my skull, it can’t — at least without an unacceptable level of risk. I want to discuss two other things. The first is the argument of how people trained back then, and the second concerns the role of sharp swords in today’s practice. 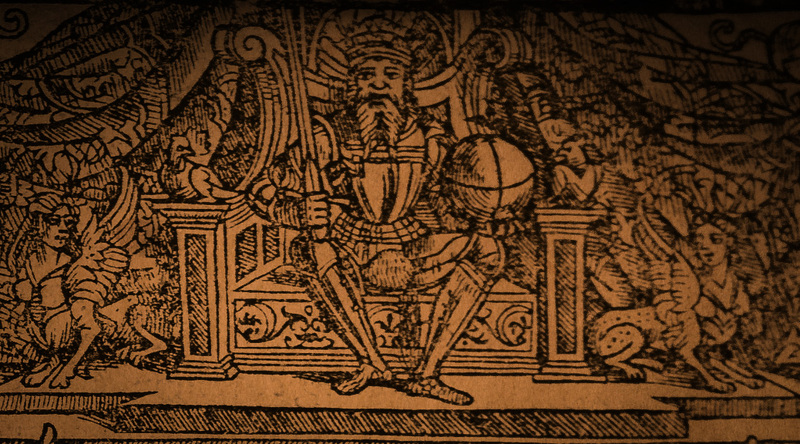 Fencing masks did not exist back in the 15th and 16th century, especially not the kind we use today. People still fought in tournaments and we know they fought even to draw blood from the head and they generally did not die. They did not even break their fingers every time. How they did this is a bit unclear but it seems obvious that they had a lot of ritualistic restraint in their fencing. They could have killed each other, but they chose not to. They were skilled. But, they lost eyes. They accepted risking injuries that we shouldn’t. We don’t. It is not acceptable in our culture and we don’t want to bring it back. From my heart I hope you agree, though I can’t force anyone. Then when it comes to practicing with sharps, I totally think that it has its place and it is important. A swordsman should not be afraid to pick up, use and face sharp steel. A sharp sword resonates in the mind on a more primal level than a blunt ever can. I believe we are born with a fear and respect for sharp objects, they are like fire. Understanding this is important, but not essential in the context of the kind of fencing we generally practice today. The happy hobby we have and the sport we practice, or the fun we have going through drills with our friends does not need to involve sharp swords. 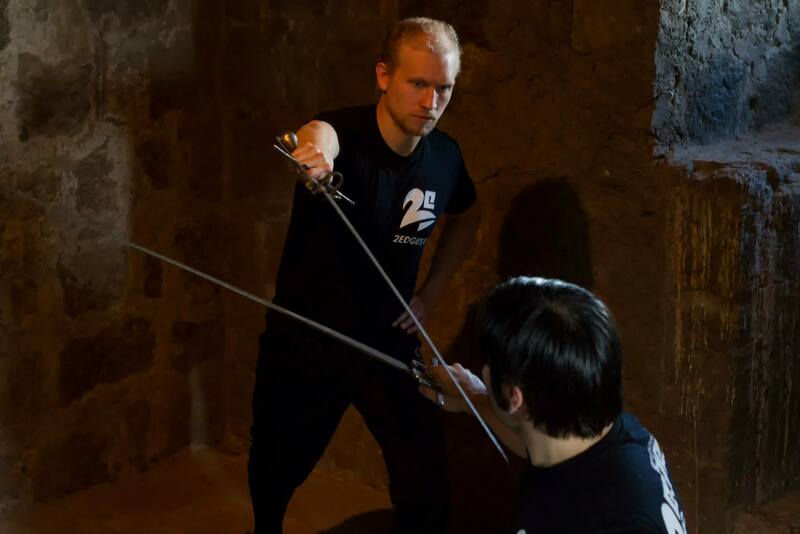 But if one takes historical fencing more seriously and is willing to understand more about what it is to have your life on the line in a duel, battlefield or in the street with a sword in hand, the blades need a cutting edge and a sharp point. But even then the biggest step is the first time one grasps a sharp sword. Much of this is understood intuitively in a very short time. Then with some slow exercises (mask or no mask makes not so much difference) and cutting practice one can learn to understand the finer points of sharp blades touching each other and gain confidence in their use. I’ll finish by giving you all the room I think anyone will ever need: if you want to feel afraid and be real about what you do, you can throw the mask away. But use blunt swords, cover your eyes and leave out thrusts. This way there will be artefacts, but at least you actually have to parry properly and while you might bleed, you probably won’t ruin the rest of your or your buddies life.